Hey guys! 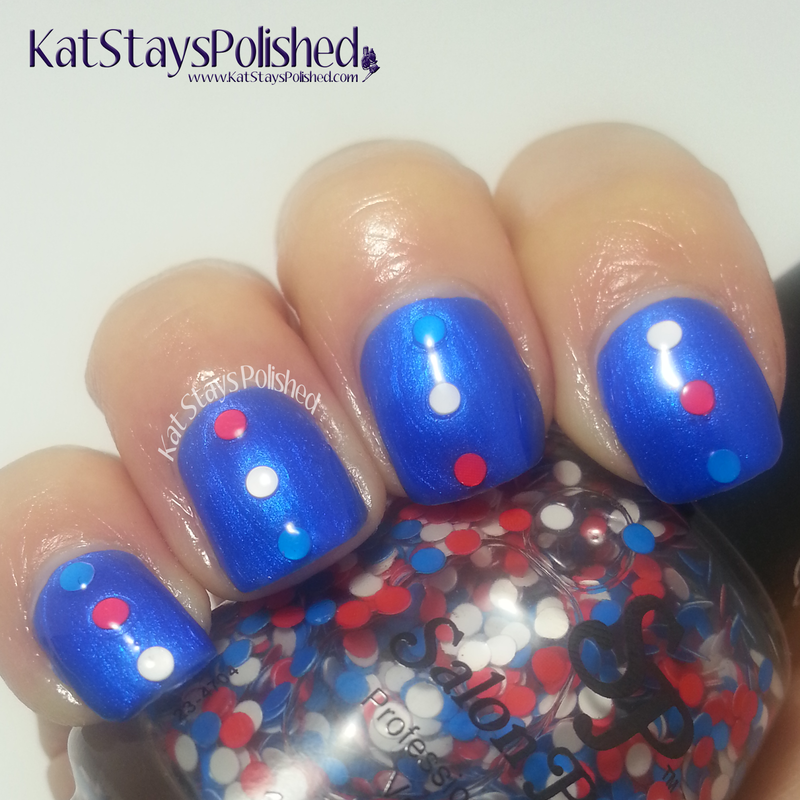 Today I have part 2 of the Salon Perfect Paint the Town Red White and Blue polishes! 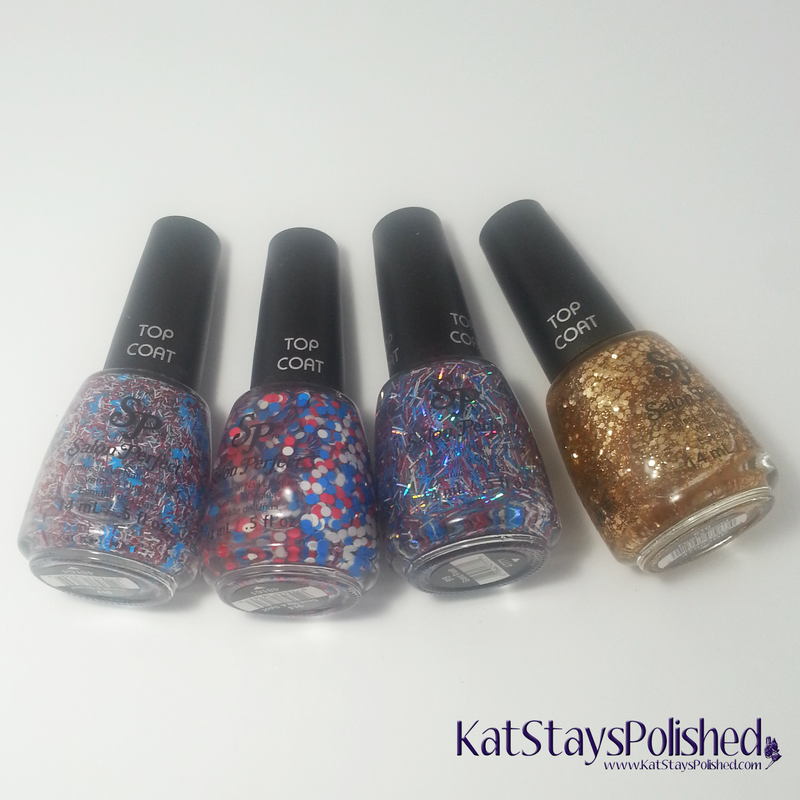 I have 4 glitter toppers that are fun and filled with lots of sparkle! All manis are topped with Salon Perfect top coat. I'm also going to be showing you an easy look you can do wth some of these awesome nail art decal stickers from Salon Perfect. Here is Starred and Striped. Pretty self explanatory right? I kinda had to use the dab method here for the stars but the stripes went on okay. It would be awesome to do a flag design with this glitter topper! Save Me a Spot is just full of big red, white, and blue circle glitters. Instead of just paint on a layer, I added them individually to all my nails. 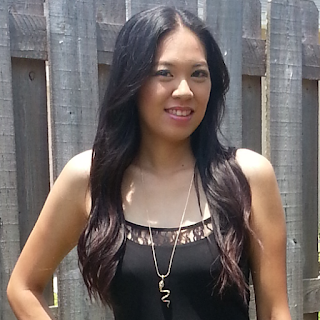 I really love this look!! 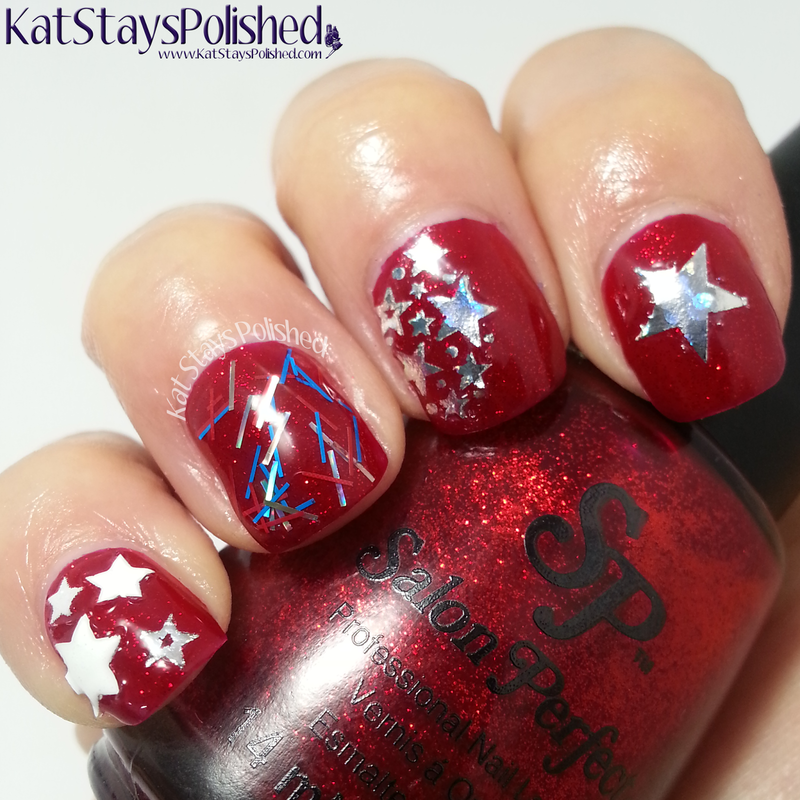 Next up is a combination of Grand Finale, red, blue, and silver bar glitters, and the nail art decal stickers. The decals are so thin that they just blend into whatever nail polish you're wearing. After you apply a top coat, it's like it's completely part of your nail. I also really love having only the blue as part of just one nail. And finally, here we have Fool's Gold. Show is one coat of Fool's Gold over He's With Me. 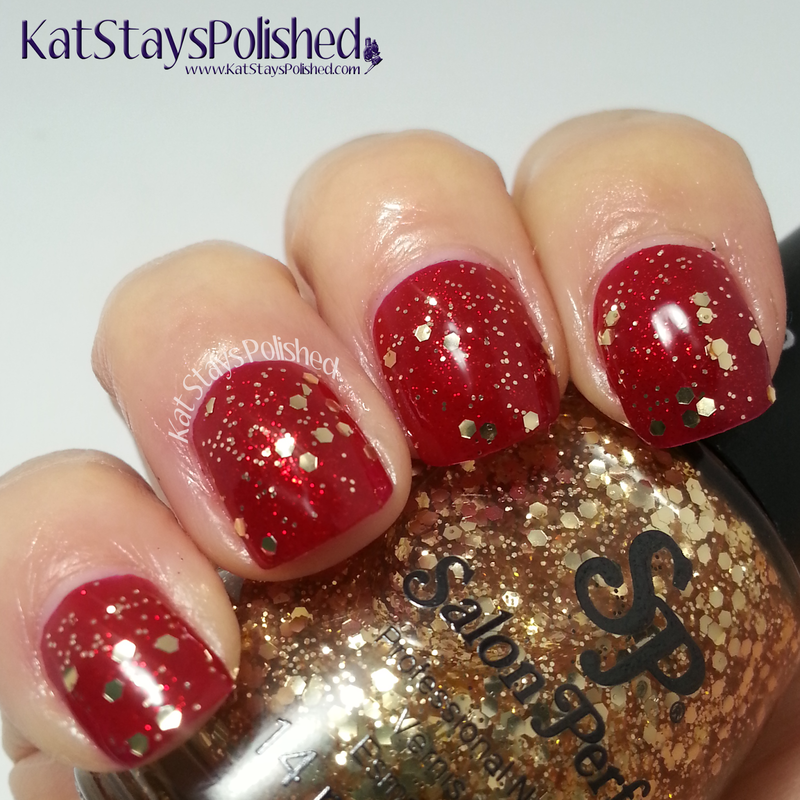 There's something about a classic red accented with gold that just blows me away. 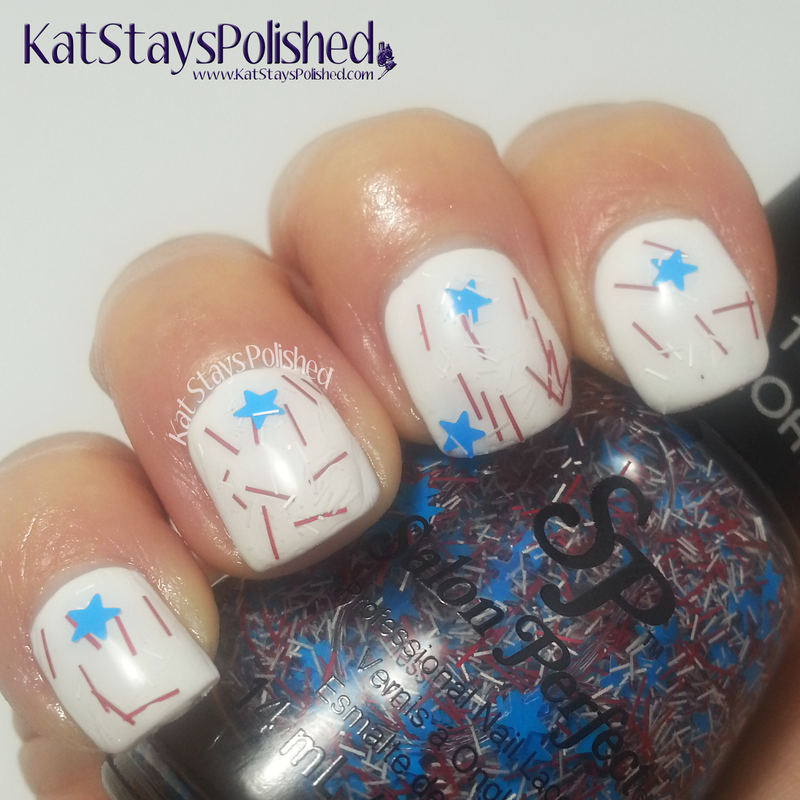 There is a perfect amount of glitters to base in this polish so if you're wanting a less traditional patriotic mani for this weekend, try this one! 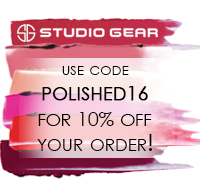 Are you into glitter toppers? I think they make nail art easier sometimes, especially ones like Save Me a Spot. These polishes are available at your Local Walmart for $3.98 a piece. The nail decals retail for $1.98. 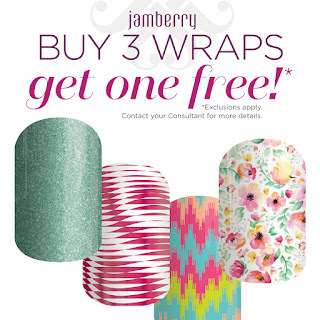 Those are fun glitter toppers and decal stickers!